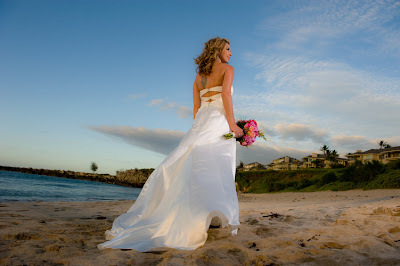 Our photography packages always include the high res. digital files and are fully retouched. Some companies charge extra for retouching services or the high res. files. Our clients receive full reproduction to rights to their wedding images. We also produce high quality leather albums, dvd slideshows with music and video. Joe always brings a photographers assistant along to help with posing, lighting and to talk story. We bring the latest lighting technology with us as well as the newest high resolution digital Nikon cameras, reflectors and diffusers. Our clients are not professional models, we know that which is why Joe directs the photo shoot and keeps the couple moving, explaining how to pose and move to make the images look natural. You'll be happy with the results even if you usually don't feel comfortable in front of the camera. 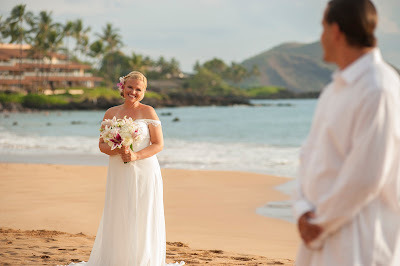 To book us for your wedding or if you're thinking of coming to Maui after your wedding for a casual portrait session or want to "trash the dress", give us a call at 1-800-745-0344 or visit our Maui Wedding Planners website or Joe's Maui Wedding Photographer site. 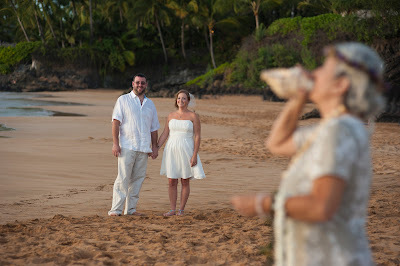 In the picture below, Scarlet and Scott got Maui'd on a fairly unknown beach in West Maui. 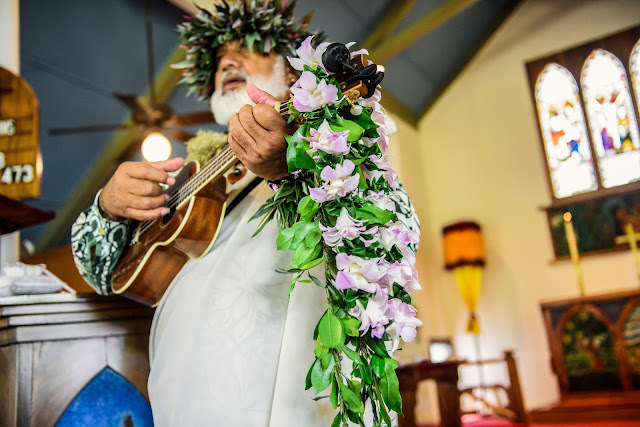 This is one of the advantages of booking our planing service as we've lived in Maui since 1985, know all the beach locations and we will travel anywhere on Maui (except Hana) so that you don't have to drive very far. Service, professionalism and imagery. That's what sets us apart from the competition.